This is Francisco Pop Jr of Maya Centre, Belize. Francisco is 16 and a student at Ecumenical High School in Dangriga. Francisco also works with his father on the family farm and landscape business. 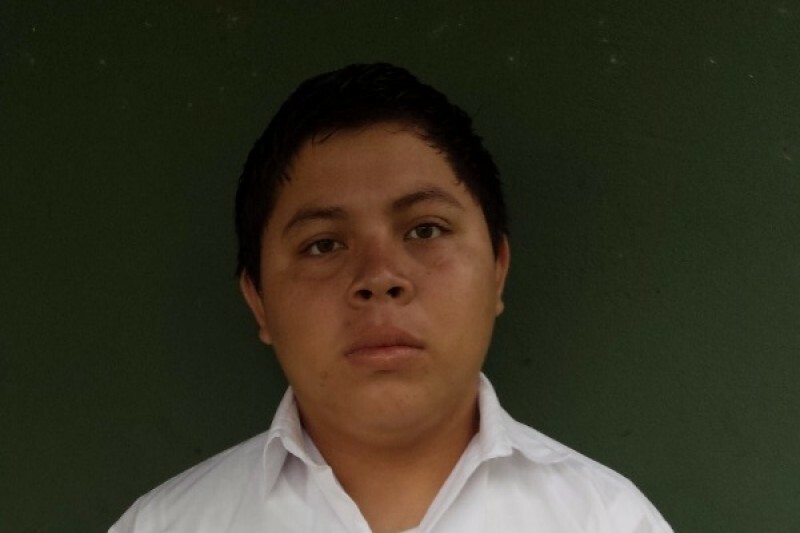 His ambition is to study culinary arts in Mexico and eventually become an executive chef. Francisco has been diagnosed with meningioma, a tumor growing on his spinal cord at his third cervical vertebra. The tumor is not malignant; however, the growth is affecting Francisco’s nervous system. Over the last 5 months his symptoms have gotten progressively worse: his right hand and leg are weakening and his foot is now dragging. His doctor says that he needs surgery as soon as possible, because if we wait too long, the damage caused by the tumor may be irreversible and he could suffer complete paralysis. The Belize public health care system has no facilities for neurosurgical procedures. The nearest facility is in Chetumal, Mexico, where the clinic has estimated the cost at $8,000 USD, including hospital care and professional fees. Other costs will include travel for Francisco and his parents, plus their accommodations and expenses while he is hospitalized. Please consider contributing to help this young man recover and fulfill his dreams. Thanks for whatever you can do to help Francisco and his family. Hi Jerry my son is out of the surgery room and now recovering. It was a sizable tumor and a cyst. Doctor showed us. It was a 3.5 hours surgery. He will be hospitalized for 10 days here in Merida. Doctor will be monitoring him. We need to step up the campaign for Francisco. Thanks to those who have donated & understanding for those who aren't able to. But please help get the word out & help this young man have a chance at a normal & productive life. Many thanks! This update explains my relationship with Francisco & how we will get the funds to him in Belize. Francisco Pop Sr is a friend & an employee at the development where we own a home in Belize. I have also purchased landscape materials from him. I will be withdrawing the funds raised in my name, then delivering them to Francisco to help pay for his son's surgery. I will wire the funds from my US checking account to my Belize bank account, then transfer them to Francisco's account. I'm happy to donate to someone supported by an individual I know and trust than some large organization that doesn't spend wisely. Hope you raise enough for this young man.